The student knew Africa. The teacher knew Brazil. Together they redefined how international aid works. "I've always been really interested in international relations—and Africa specifically," says Aliya Diawara. "And my area of expertise is modern Latin American history, broadly, and mid-20th century in Brazil and Chile, specifically," says history faculty member Margarita Fajardo. Together the two collaborated to produce a conference paper describing a new model of international development, highlighting the unfolding relationship between Brazil and Africa. As Margarita describes it, conference work is about "listening and interpreting a student's interests or what they're curious about" to produce robust academic work fueled by genuine curiosity. Moreover, "it's really important to know that, as much as the students can learn from me, I can learn from them." 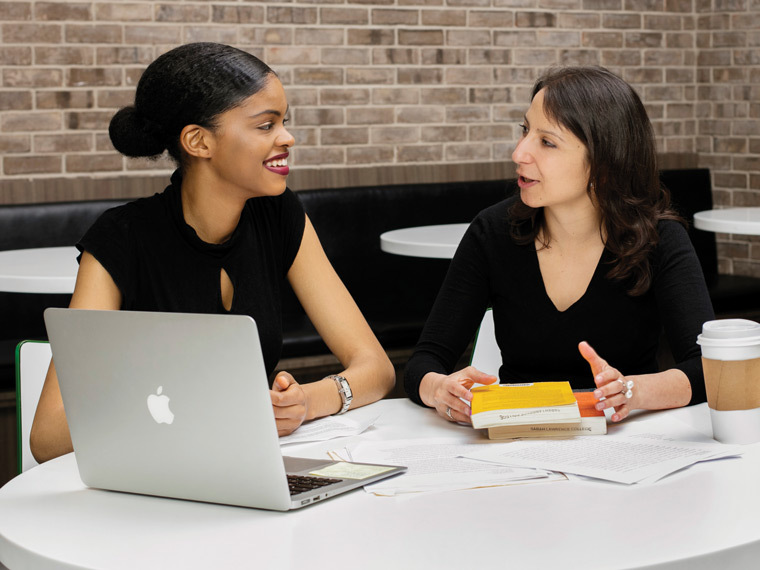 Your gift to The Fund for Sarah Lawrence fosters the dynamic intellectual relationships between students and faculty that have always characterized the Sarah Lawrence experience—and continue to do so today. Help enhance and protect the essential Sarah Lawrence for the promising, talented young people of today and tomorrow. Read more about Aliya and Margarita's collaboration, and make your gift by visiting www.sarahlawrence.edu/essential or by contacting Jody Abzug, Senior Director, The Fund for Sarah Lawrence at (914) 813-9220.